SKU: RD240. Categories: Single Spices, Products Beginning with "G". 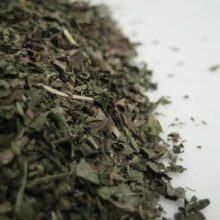 Tags: analgesic, anti inflammatory, antibacterial, antioxidant, antipyretic, cookery, culinary, gingerols, herbs, influenza, infusion, medicinal, motion sickness, nausea, scurvy, sea sickness, sedative, shoagoles, sialagogue, Spice, tea, travel sickness, zingerone. Ginger is used extensively as a spice in cuisines throughout the world. 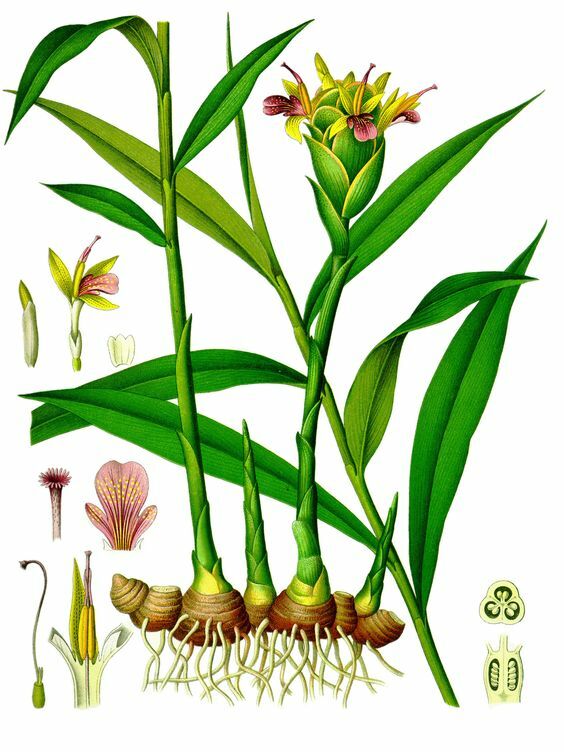 Though commonly referred to as a root, it is actually the rhizome of the monocotyledonous perennial plant Zingiber officinale. Originating in southern China, cultivation of the spice spread to India, Southeast Asia, West Africa, and the Caribbean. The young roots or rhizomes are juicy and fleshy with a very mild taste. They are often pickled in vinegar or sherry as a snack or just cooked as an ingredient in many dishes. They can also be stewed in boiling water to make a refreshing tea, to which honey is often added as a sweetener. Mature roots are fibrous and nearly dry. 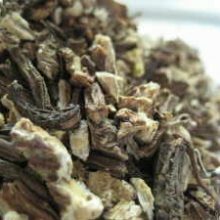 The juice from old roots is extremely potent and is often used as a spice in Chinese cuisine to flavour dishes such as in seafood and mutton. Both the dried ground and whole spice are also used in this fashion. Fresh, the spice, is used in the typical garlic and ginger paste combinations with chillies and other ingredients in Asian cooking. 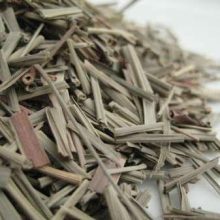 The rhiszome is also candied and is used as a flavouring for sweets, biscuits, crackers and cake, and is the main flavouring agent in ginger ale, a sweet, carbonated, non-alcoholic beverage, as well as the similar, but somewhat spicier beverage, ginger beer. A flavoured liqueur called Canton is produced in the Guangdong province of China; it is advertised to be based on a recipe created for the rulers of the Qing Dynasty and made from six different varieties of the rhizome. Green ginger wine is a flavoured wine produced in the United Kingdom by Crabbie’s and Stone’s and traditionally sold in a green glass bottle. The spice is also used as a spice added to hot coffee and tea. In Japan, it is pickled to make beni shoga and gari or grated and used raw on tofu or noodles. In Western cuisine, it is traditionally restricted to sweet foods, such as ginger ale, gingerbread, ginger snaps, ginger cake and ginger biscuits. 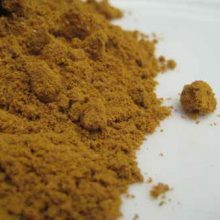 The powdered root is typically used to add spiciness to gingerbread and other recipes. The ground and fresh rhizomes taste quite different. Fresh can be successfully substituted for ground and should be done at a ratio of 6 parts fresh for 1 part ground. You generally achieve better results by substituting only half the ground spice for the fresh spice; it is much more powerful. In Myanmar, it is used in a salad dish called gyin-tho, which consists of shredded rhizome preserved in oil, and a variety of nuts and seeds. In traditional Korean Kimchi, it is minced finely and added into the ingredients of the spicy paste just before the fermenting process. 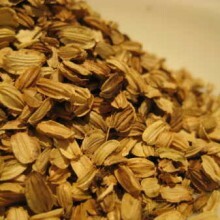 In India, it is used in all sub-varieties of the indian cuisines. In south India, it is used in the production of a candy called Inji-murappa (“ginger candy” from Tamil). This candy is mostly sold by vendors to bus passengers in bus stops and in small tea shops as a locally produced item. the candied spice is also very famous around these parts. Additionally, in Tamil Nadu, especially in the Tanjore belt, a variety of of the rhizome which is less spicy is used when tender to make fresh pickle with the combination of lemon juice, salt and tender green chillies. This kind of pickle was generally made before the invention of refrigeration and stored for a maximum of 4-5 days. The pickle gains a mature flavour when the juices cook the spice over the first 24 hours. In South East Asia, the flower of a type of of the plant is used in cooking. This unopened flower is known in the Malay language as Bunga Kantan, and is used in salads and also as garnish for sour-savoury soups, like Assam Laksa. 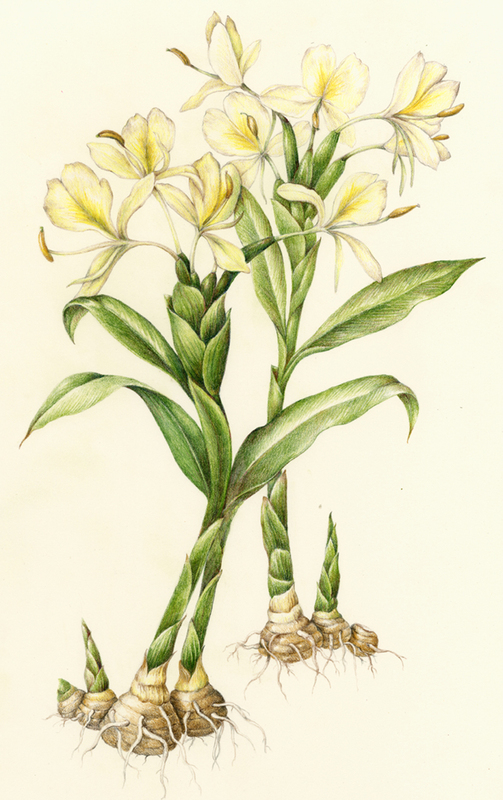 The rhizome has a sialagogue action, stimulating the production of saliva. Medical research has shown that ginger root is an effective treatment for nausea caused by motion sickness or other illness, and also contains many antioxidants. Powdered dried ginger root is made into capsules for medicinal use. Modern research on nausea and motion sickness used approximately 1 gram of ginger powder daily. Although very effective against all forms of nausea, PDR health officials do not recommend taking ginger root for morning sickness commonly associated with pregnancy, though Chinese women traditionally eat ginger root during pregnancy to combat morning sickness. 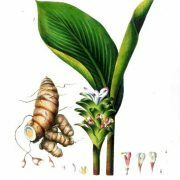 The Natural Medicines Comprehensive Database (compiled by health professionals and pharmacists), states that ginger is most likely safe for use in pregnancy when used orally in amounts found in foods. Ginger ale and ginger beer have been recommended as “stomach settlers” for generations in countries where the beverages are made. Ginger water was commonly used to avoid heat cramps in the United States in the past. Research has also found ginger to be a powerful antioxidant. Ginger has also been shown in research to have a regulatory role in the natural inflammatory response of the body. 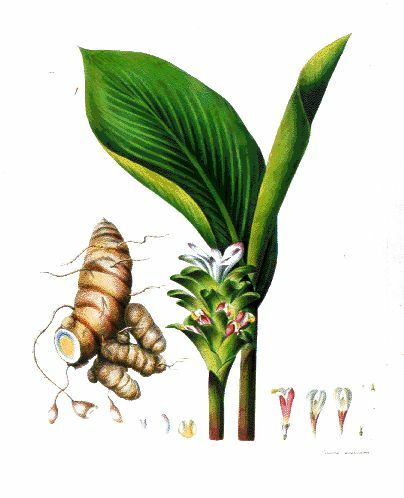 In India ginger is applied as a paste to the temples to relieve headache. In Myanmar, ginger and local sweet (Htan nyat) which is made from palm tree juice are boiled together and taken to help with the symptoms of influenza. Ginger has also been commonly used to treat inflammation, although medical studies as to the efficacy of ginger in decreasing inflammation have shown mixed results. There are several studies that demonstrate very positive results on minimizing joint pain from arthritis and other inflammatory disorders. It may also have blood thinning and cholesterol lowering properties, making it effective in treating heart disease; while early studies have shown some efficacy, it is too early to determine whether further research will bear this out. 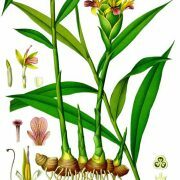 The characteristic odour and flavour of ginger root is caused by a mixture of zingerone, shoagoles and gingerols, volatile oils that compose about 1% to 3% by weight of fresh ginger. The gingerols have analgesic, sedative, antipyretic, antibacterial, and GI tract motility effects. Ginger is on the GRAS list from FDA. However, like other herbs, ginger may be harmful because it may interact with other medications, such as warfarin; hence, a Naturopathic Doctor, physician or pharmacist should be consulted before taking the herb as a medicinal agent or on a long-term basis. Ginger is also contraindicated in people suffering from gallstones, because the herb promotes the release of bile from the gallbladder. Ginger can also be used to help prevent scurvy. A hot ginger drink (made with sliced ginger cooked in sweetened water or a Coca-Cola-like drink) has been reported as a folk medicine for common cold. The English word is etymologically related to the Tamil having been borrowed into Indo-European languages from a Dravidian language. Because it is not found in the wild, its origins are uncertain. It is likely to have originated from India as the plants there show the most biological variability. Potted plants were carried on local vessels travelling the maritime trade routes of the Indian Ocean and South China Sea in the 5th century AD and probably before. The plants would have rapidly spread to many other countries along the way. 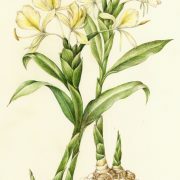 In the 16th century the plant was introduced to Africa and the Caribbean. It is now cultivated throughout the humid tropics. In the Manasollasa literature written in the 11th century AD the plant was mentioned as a flavouring for buttermilk drinks. 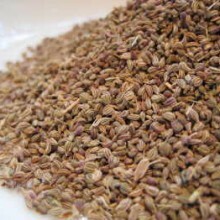 Its use as a food became much more widespread by the 13th century AD with the advent of Muslim rule in India. 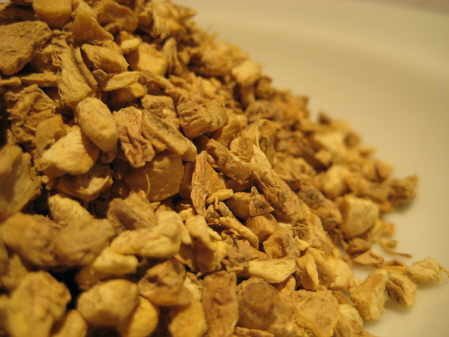 It became popular to prepare meat dishes and drinks using a paste of the rhizome. Fruit juices, tea, buttermilk and curd products were spiced with the plant. It continued as an article of trade to Europe even after the fall of the Roman empire, with Arab merchants controlling the trade in it and other spices for centuries. By medieval times, it was being imported in preserved form, to be used in sweets. Together with black pepper, it was one of the most commonly traded spices during the 13th and 14th centuries. Arabs carried the rhizomes on their voyages to East Africa to plant at coastal settlements and on Zanzibar. 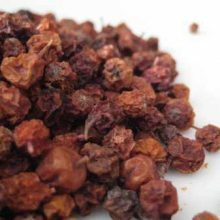 During this time in England, the plant was sought after, and one pound in weight of the spice was equivalent to the cost of a sheep! 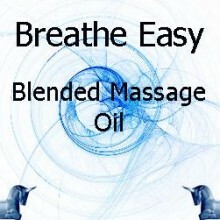 Single Herbal Infusions, Products Beginning With "P"